In first grade, our goal at Martinez Elementary is to develop readers and to develop a love of reading. We work daily on letters, sounds, and sight words, and offer fun ways to learn them. We have word work stations with shaving cream, magnetic letters, stamps, and other hands-on learning tools. Our reading instruction is geared toward each child and their developmental reading level.We love to learn math, science, and social studies through integrated and hands-on curriculum. We offer manipulatives and experiments in which students can really “explore” their world. Students learn to add and subtract, tell time, graph, identify money, and much more. They learn about magnets, habitats, natural resources, weather, and overall, what it means to be a good citizen. 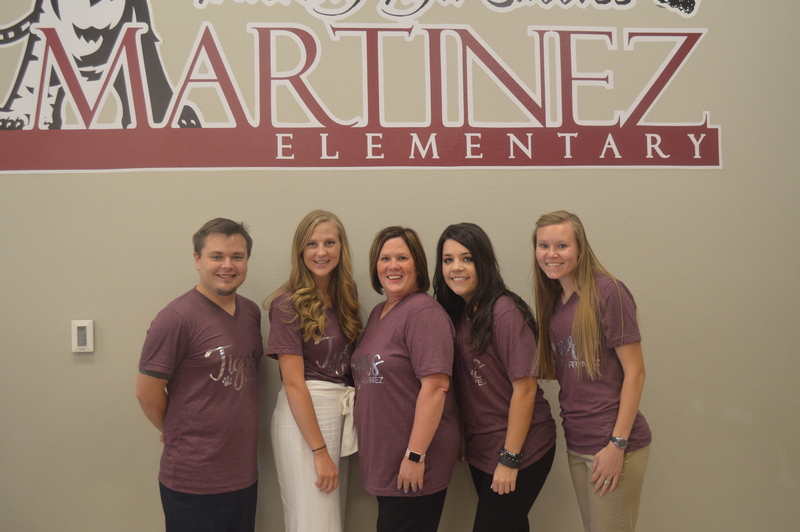 Other fun activities throughout the year include field trips to the Abilene Zoo and the Planetarium, as well as special guests visiting our classrooms.